The Salmonella outbreak linked to Firefly on Paradise restaurant in Las Vegas has grown to include at least 200 people, according to the Southern Nevada Health District. Firefly and Dragonfly restaurant were closed on April 26, 2013, after the outbreak was recognized. At least 196 patrons and 4 employees are part of the outbreak. Of those 200 people, 16 have been lab-confirmed and 184 are probable cases. The serotype of the outbreak strain of Salmonella bacteria is “I:4,5,12:i:-“. A probable case in this investigation is a person who ate food served by Firefly restaurant from April 21 to 26, 2013 and experienced diarrhea (three or more bouts of diarrhea) and/or at least one bout of vomiting during a seven day period following the restaurant visit. 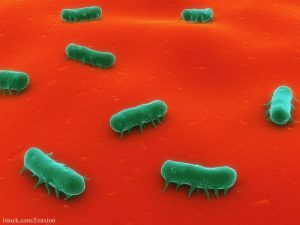 The incubation time was extended from 72 hours to 7 days because lower doses of the Salmonella bacteria could create a longer time before symptoms appear. The onset date with the highest number of reported illnesses was April 24, 2013. Public health officials think that means those who ate at Firefly on April 22 and April 23, 2013 had the highest risk of exposure to the pathogen. Ill persons live in these states: Arizona, California, Colorado, Hawaii, Illinois, Massachusetts, Minnesota, Mississippi, North Carolina, Nebraska, Nevada, Ohio, Oklahoma, Oregon, Pennsylvania, South Carolina, Texas, Utah, and Washington state. Patrons from Canada and the UK are also ill.
Three employees from Firefly did have gastrointestinal illness symptoms after eating at Firefly. The onset dates indicate that none of those workers was the source of the illness. Investigators were initially suspicious of the raw unpasteurized egg-based aioli sauce because there is a historical connection between raw eggs and Salmonella. But lab results showed the sauce was not the source of the illness. No single menu item, common factors, or ingredients were identified among the menu items that might be considered suspect at this time. Traceback of foods that arrived at the restaurant raw or were served uncooked have begun. Investigators think the food may have been contaminated at its source, during delivery, storage, or preparation. Eleven food items are pending for Salmonella cultures. Both restaurants remain closed.